KABUL, Afghanistan (AP) — Two bombs hidden in a motorcycle and a car exploded inside an elite gated community linked to the family of Afghan President Hamid Karzai on Friday evening, killing at least nine people and wounding more than 70 near the southern city of Kandahar, an official said. The blasts happened inside Aino Mina, a housing complex on the northern outskirts of the city that was developed in part by Mahmood Karzai, the president's younger brother. No one immediately claimed responsibility for the attack, but striking inside a powerful symbol of wealth and influence would be a publicity coup for the Taliban insurgency. Both the car bomb and the motorcycle were remotely detonated within minutes of each other while parked next to a restaurant area where families were dining, Kandahar government spokesman Javeed Faisal said. He had earlier said there was only one blast. Three police were among the dead, Faisal said, adding that an investigation is underway into how the explosives-laden vehicle slipped past the community's heavy security. 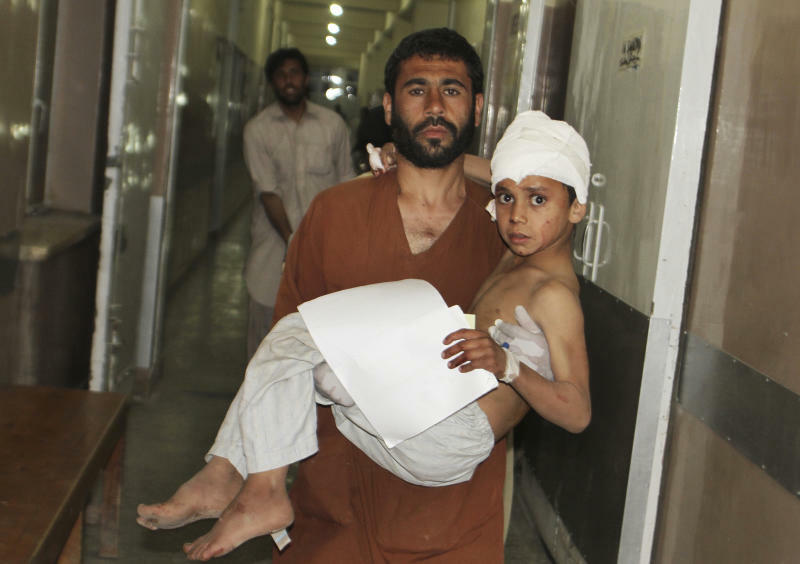 Many of the dozens of wounded brought to Mirwais Hospital in Kandahar were in critical condition, Dr. Samad Ahmadi said. Aino Mina is home to thousands of Afghan government officials, businessmen and other wealthy citizens who pay some $90,000 for a three-bedroom house on grounds featuring parks, a jogging track, a football field and its own mosque. Residents have special identification badges, and cars are typically searched before entering the gates. Mahmood Karzai was one of the main investors into the project, promoted as a triumph of modernity in Kandahar, which is the spiritual birthplace of the Taliban insurgency. The Taliban imposed a harsh interpretation of Islamic law when it led Afghanistan for five years, before they were ousted in the U.S.-led invasion that followed the Sept. 11 terrorist attacks on the U.S. by al-Qaida, which was based in the country at the time. The Karzai clan itself is from Kandahar and another brother of the president, Ahmed Wali Karzai, was a powerful political figure there before being gunned down in 2011 by a bodyguard. President Karzai's office quickly condemned the attack, noting it was the second terrorist strike in a residential area in two days. On Thursday, a suicide car bomber hit a U.S. convoy in a residential part of eastern Kabul, killing 15 people, including nine Afghan bystanders and six Americans. That attack was claimed by another militant movement, Hizb-e-Islami. "Terrorists, by these acts that are un-Islamic and inhumane, are not the followers of any religion," Karzai's statement said. 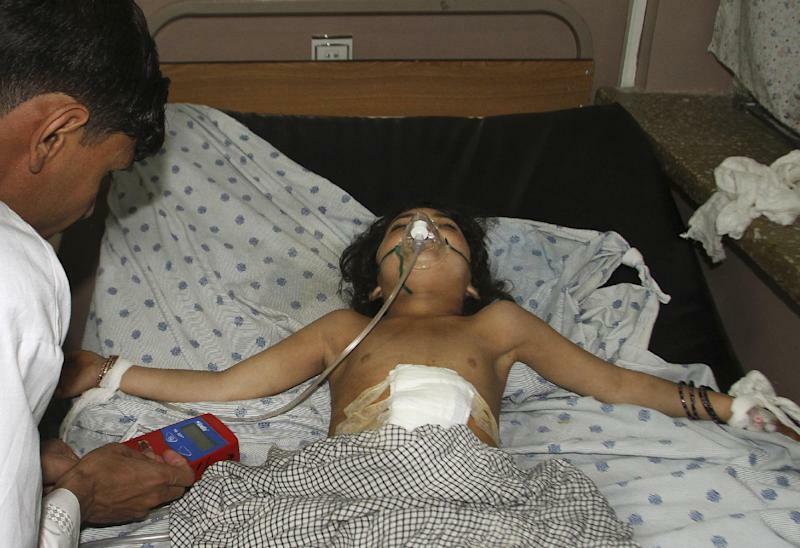 Attacks on both military and civilian targets have been on the rise since the Taliban launched their spring offensive late last month, aiming to weaken the Afghan government ahead of the withdrawal of most international forces by the end of next year.